Mystery meat, wrapped in an enigma, shrouded in the shadows. Everything it touches is dyed greasy orange: the bun, your fingers, the plate, presumably your guts. My mom used to make that sad stuff that came from a can, bless her, that gloop you'd mix with cheap grocery store ground beef on days when the thought of putting something elaborate together just didn't jive with the kind of day you've had (chasing brats like me around the house and cleaning up all the wonderful dirt I would track inside). 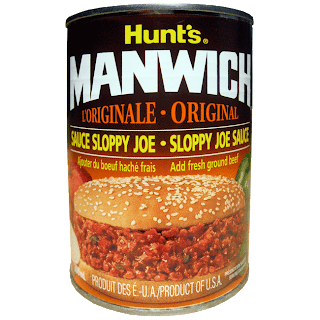 Worse, in Home Economics in high school they eschewed the canned stuff for making a version of the sloppy joe from "scratch". 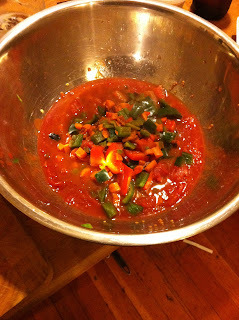 I'll spare you the details save these two: equal parts ketchup and yellow mustard figured prominently in the recipe. We at Chowbacca! think we can do better than Mrs. Whatsherface from Shaker Heights High School, so it was off to the gym then to the store to load up on supplies for Sloppy Joes. The Sloppy Joe is made with ground beef. And if you believe that to be true in your local school cafeteria or prison mess hall, then I have a variety of bridges and other accoutrement that I would like to interest you into purchasing. As far as I know, that stuff, institutional Sloppy Joe, is made from horse. The Sloppy Giuseppe is made with italian sausage. Turkey.. I've heard that as the Turkey Joe or the Sloppy Turkey. You don't want to know what's in a Sloppy Jonestown, and you definitely don't want to try the Ed Gein version, although I hear his chili is award winning. I thought it would be fun to do a version with buffalo. It's lean, its not too expensive, and my purveyor insists they are raised without antibiotics or hormones. 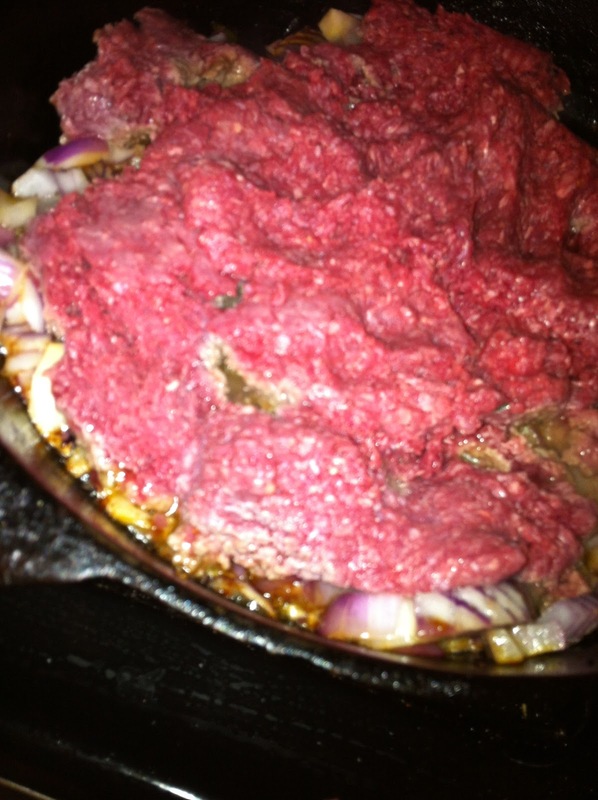 Unlike what you may have heard, the meat does not go in first. 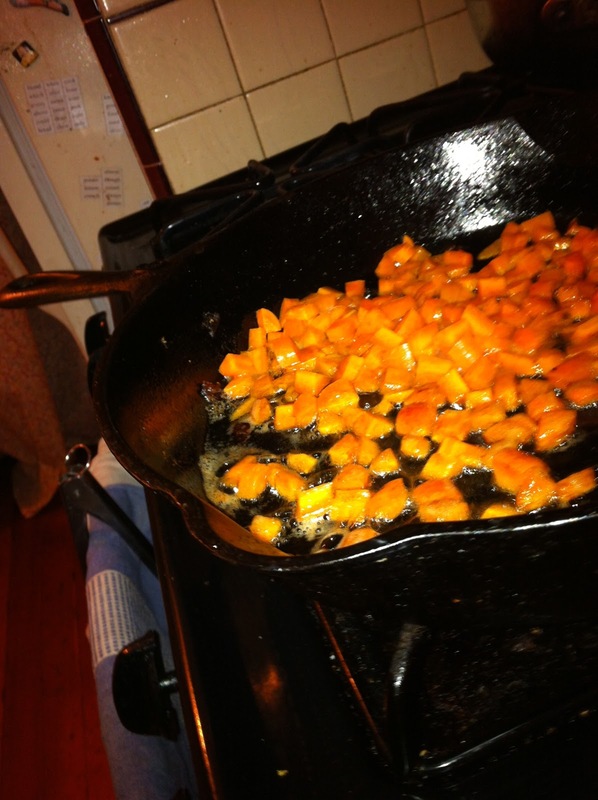 The first thing I want to do (in a #9 Lodge Cast Iron, of course) is cook the carrots over medium-low heat then add the tomato paste and let it "rust" - turning up the heat to medium and letting the tomato paste cook down and darken a bit, like you would for a burnt roux. 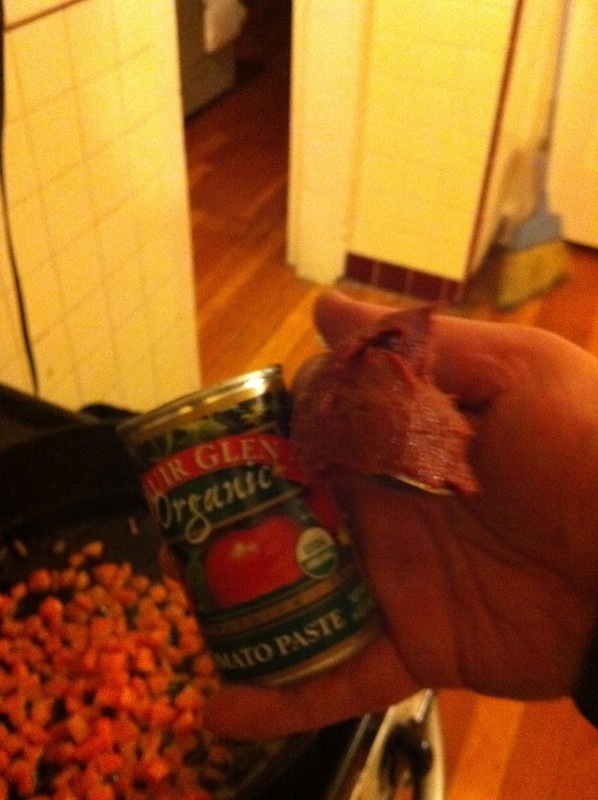 Of course, its important not to burn the tomato paste or the whole thing's ruined. 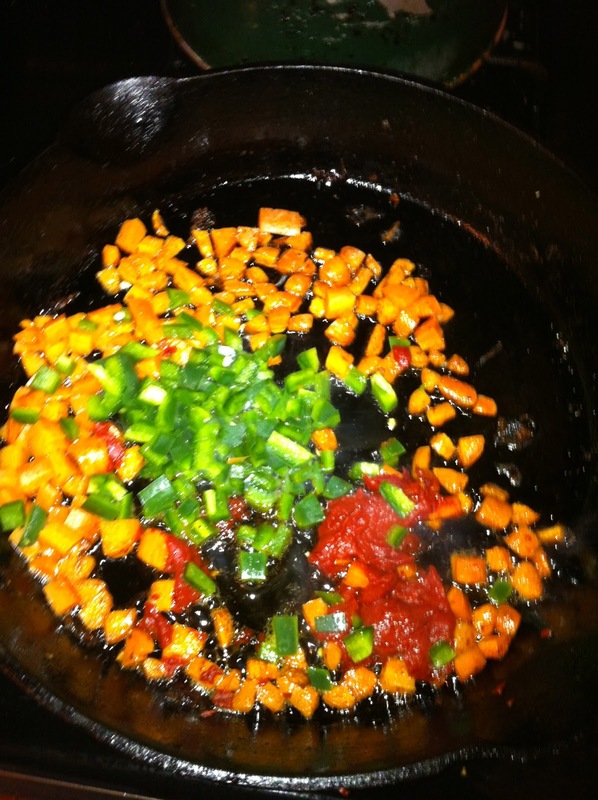 Add your peppers and onions and cook until both the peppers have softened up a bit and the onions are translucent. At this point, I dump all this in a mixing bowl with the tomato, returning the empty skillet to the stove and opening that sumbitch up ("turn the heat on high," for you civilians). 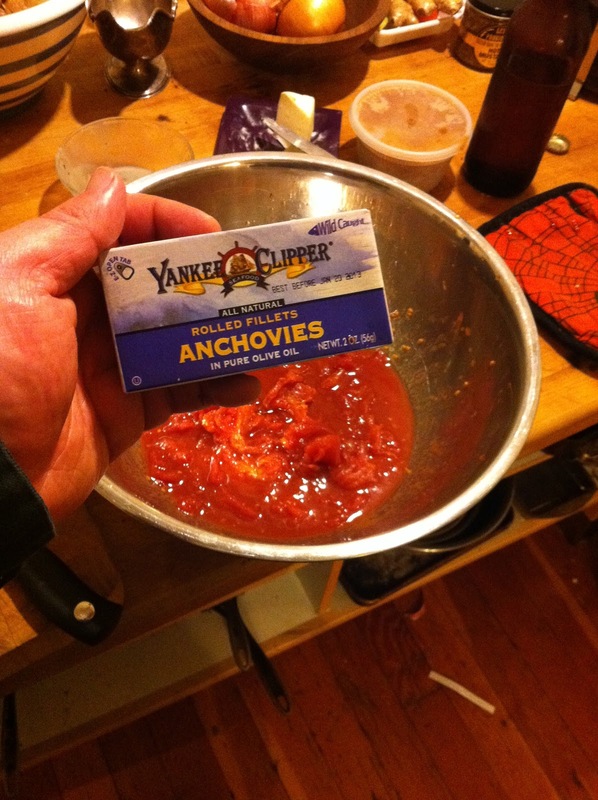 Introduce about half the tin of anchovies and let them fall apart, then introduce the meat. Walk away for a couple of minutes to get a little browning with the anchovies and anchovy oil (and I use a little bit of left over bacon fat for something as lean as buffalo). Make a drink, chill out. Has it been 5 minutes? 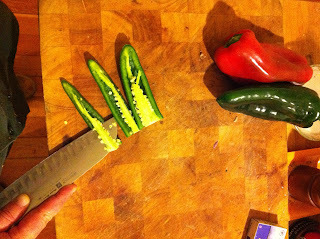 Okay, time to chop that stuff up with a metal spatula. Just break everything up. Give everything a flip and add the tomatoes and peppers, add the syrup, add quite a bit of ground black pepper and once you're at a nice simmer, toss in the vodka. If you are unsure, take the works off the heat and away from open flame before you add the vodka. Me? I love fire! You can leave the vodka out, but alcohol is able to break down flavor compounds in both the peppers and the tomatoes that you'll be missing without it. Simmer, uncovered, until the mix "tightens up" to your desired thickness. Take a hamburger bun (like the dozen that we had left over from the Mission Hill Saloon wrap party) and butter the crumb (that's the part of any bread that is not the crust) and brown in a sautée pan and then serve up that good-good Sloppy Joe. And if that doesn't knock your socks off, try it the NEXT day. Buffalo Sloppy Joe? Surely comments can come up with a better name. I leave it as a challenge to you, dear reader. Leave your suggestion the the comments! I'm trying to figure out why this post is so popular all of the sudden? A renewed interest in institutional food? I blame Michelle Obama. 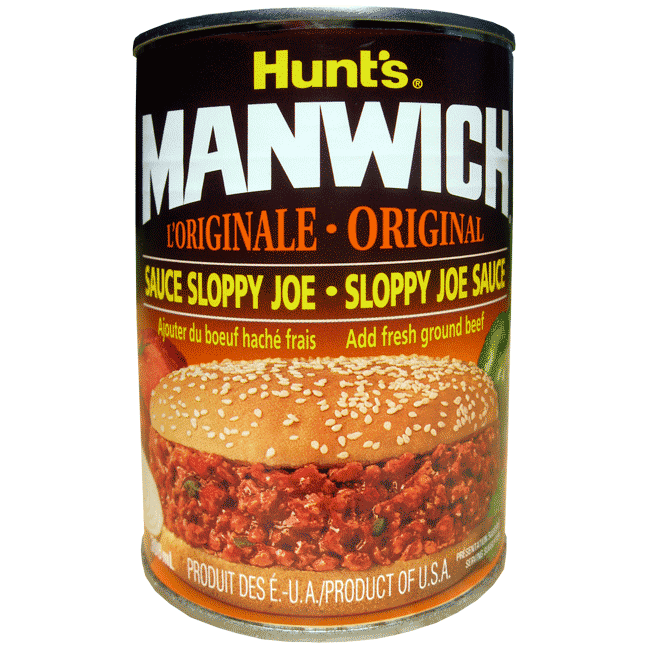 One of the things I love about Sloppy Joe is that it comes from a can and it really is a meal I plan when I don't want to put any effort in. This sounds amazing so I'll let you make it for me, but I'm not going to the trouble. I will never willingly or knowingly bring anchovies into my home. When I make them with turkey I call them Sloppy Toms. Sloppy Bill? Billy Joel? (riffing on Buffalo Bill people)..
Garnet - I would love to make this for you.. AND I found a gluten free baker IN OAKLAND.. So, perfect storm, n'est pas?